When you purchase User or Site licensing, you receive all products for the entire FileMaker platform. Any of these three programs can be licensed on an annual or perpetual basis. The FileMaker Pro desktop application has been merged into FileMaker Advanced. For users who don’t need developer features like the script debugger or custom menu editing, the advanced features can be turned off. For existing customers, the legacy Volume Licensing Agreement (VLA) and FileMaker Licensing for Teams (FLT) programs have been succeeded by the new User Licensing program. Note: All existing volume, FLT, concurrent connection, and site licensing customer contracts will be automatically transitioned to the appropriate licensing contract for FileMaker 17. FileMaker Server: Up to the number of licensed users. Shared access to the FileMaker platform by more than 1 person. Anonymous users may access the solution through FileMaker Go or FileMaker WebDirect only. 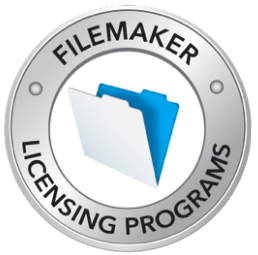 For FileMaker Pro Advanced access, you must purchase user licenses. License Filemaker for all users in your company, and you have a minimum of 25 users, you can purchase a Site License. License FileMaker for less than all of the users in your company, you can purchase a User License. License connections for your anonymous users (i.e. non-employees) to connect from a web browser through WebDirect or on the FileMaker Go client for IOS devices, license Concurrent Connections. Existing users will automatically be rolled into the new licensing programs upon renewal. There is a one year price protection. Depending on timing of renewal, it is possible for customers to extend their current pricing up to 4 years from the time of FileMaker 17 release. 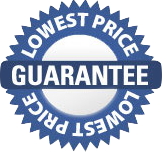 ...give us a call at the number below or email us and let us save you money. We'll find the licensing option that perfectly matches your needs. All of our licenses include a year of free upgrades. Remember that we can also help you with FileMaker training and custom development. If you have an existing FileMaker system that needs some help, we can assist with that as well.